Salam. 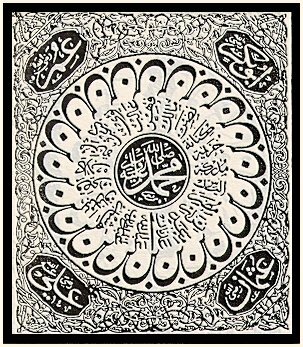 Some of you may be familiar with Allamah Ibn Taymiyyah’s minority and much criticised position regarding the ziyarah of the grave of the Prophet (Allah bless him and give him peace). However I found the following beneficial quote cited in the introduction to a recent edition of Imam al-Subki’s classic ‘Shifa al-Siqam’ which was authored in defence of the majority Sunni position on the issue of ziyarah. He [Ibn Taymiyyah] Allah (the Exalted) have mercy on him said in some of his manuals on Hajj rites (manasik): If he nears the city (Madinah) of the Prophet (Allah bless him and give him peace) before or after Hajj, then he should say what we have mentioned previously. When he enters he should bathe as stated by Imam Ahmad. When he enters the masjid he begins with his right foot and says: In the name of Allah, Blessings and Peace upon the Messenger of Allah, O Allah forgive my sins and open for me the doors of your mercy. Then he comes to the Rawdah between the grave and pulpit (minbar) and prays in it and supplicates with that which he wishes. Then he comes to the grave of the Prophet (Allah bless him and give him peace) and faces the wall of the grave, neither touching nor kissing it. He positions the lamp in the qiblah in line with his head so that he is standing in the presence of the Prophet (Allah bless him and give him peace). He stands at a distance as he would stand if he had manifested during his earthly life, with humility and tranquility, with lowered head, downcast eyes, contemplating in his heart the greatness of his standing place.